Need new glasses like me? Then one of today’s Groupon for Green Bay might be for you, too. 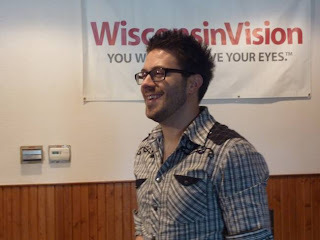 $50 for $175 Worth of Frames and Prescription Lenses at Wisconsin Vision. Wisconsin Vision is the company that signed a deal with former American Idol contestant Danny Gokey. There are many locations in Wisconsin including Appleton and Green Bay. As with any daily deal site, read all rules and restrictions before you buy.